In our previous post, Finding People to Invite to your LinkedIn Network – Alumni, we talked about finding people to join your LinkedIn network. In this post, we take a look at using the advanced search on LinkedIn to find contacts. Using LinkedIn’s advanced search, you can zero in on relevant members you might want to connect with. As we discussed previously, some of the most interesting and powerful search fields are reserved for use by premium members — those who pay money to belong to LinkedIn. But take a look at the search form and we think you’ll agree; it’s still pretty powerful. The various grayed-out areas are only available to premium accounts. You can still search by industry, language, location, title, company, and school. 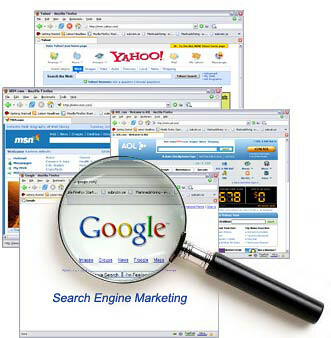 Of course, if you want to use Google as your search engine, as we demonstrated in the opening section of this chapter, you may be able to get at some of the premium attributes. –inurl: — This keyword, combined with the minus sign, excludes pages with certain keywords in the URL. In this case, we don’t want to see results from the LinkedIn Answers section, the Jobs section, the company pages or company directory. If you do want to see answers in a specific section, change the minus sign to a plus sign. finds 17 million project managers on LinkedIn. That’s far better than the 100 search results the free LinkedIn account limits you to. Once you find these folks, check out their profiles, and either use the connection request techniques we’ve already discussed, or use the two additional ones below.